In Stage Rant Rapper also targets corporations in a nearly 10-minute monologue at a show in London on Saturday. 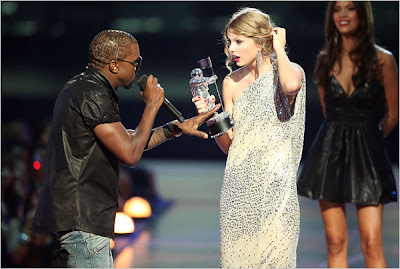 Kanye West stormed the stage during Taylor Swift's acceptance speech for Best Female Video. "Beyoncé had one of the best videos of all time," the MC shouted.